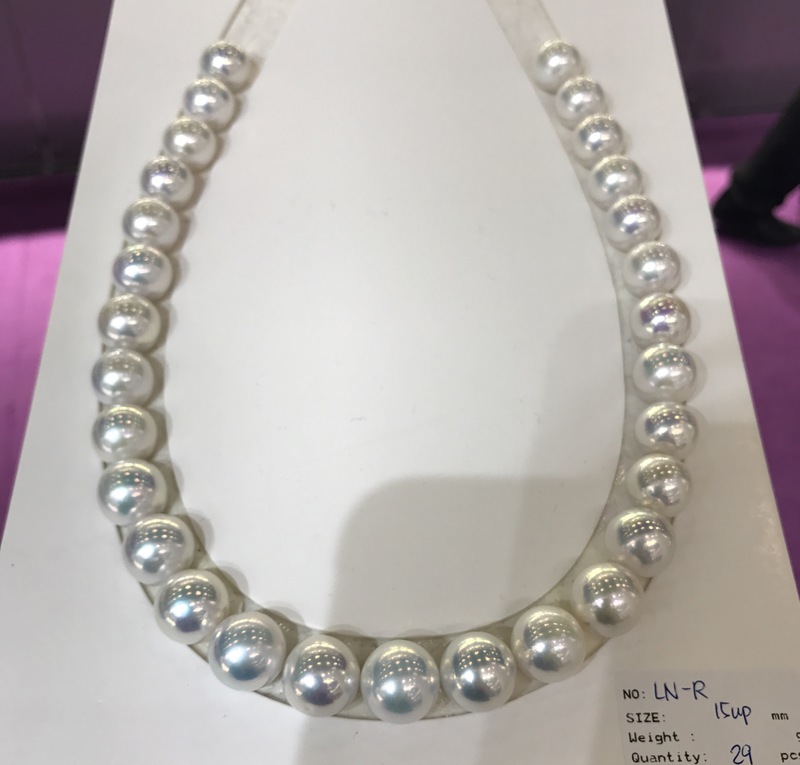 I am mad about pearls! It’s got that mix of excellent luster, beautiful overtones, minimal blemishes and perfect shape (perfect drops are SO rare!!) that makes it one of those special pearls. 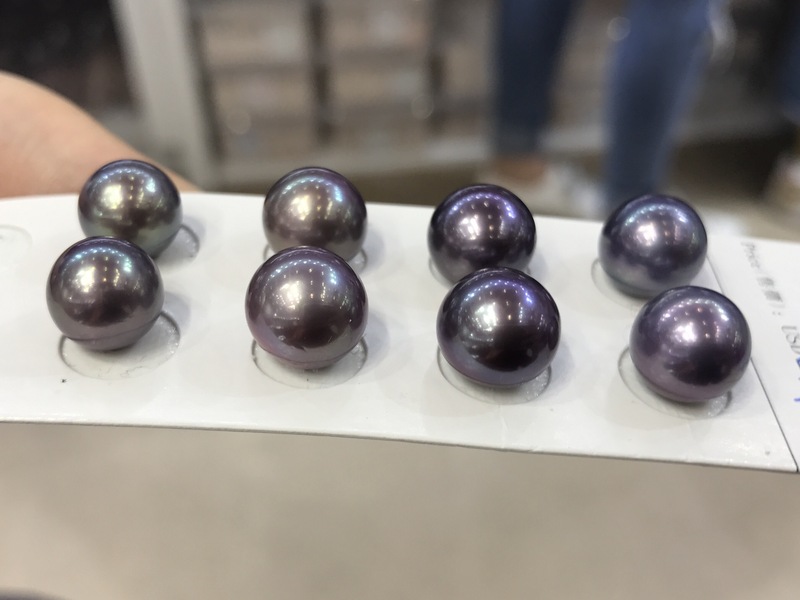 Intense purples in smaller sizes (10-12mm) are super rare and really hard to find! 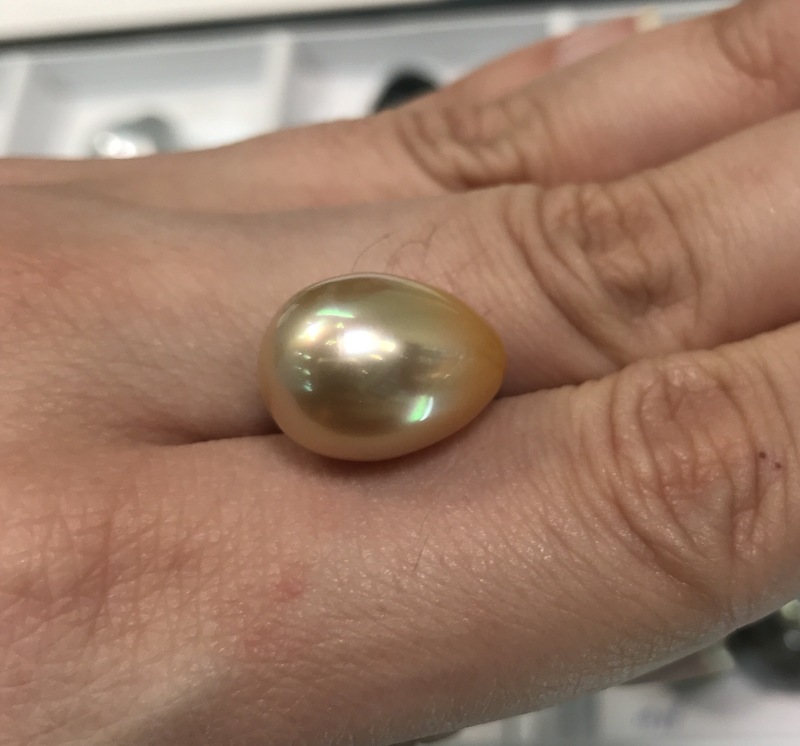 One vendor was sold out when I went back and when I finally managed to persuade another vendor to let me pick some from a bag only a few matched pairs out of hundreds of pearls were of passable quality. 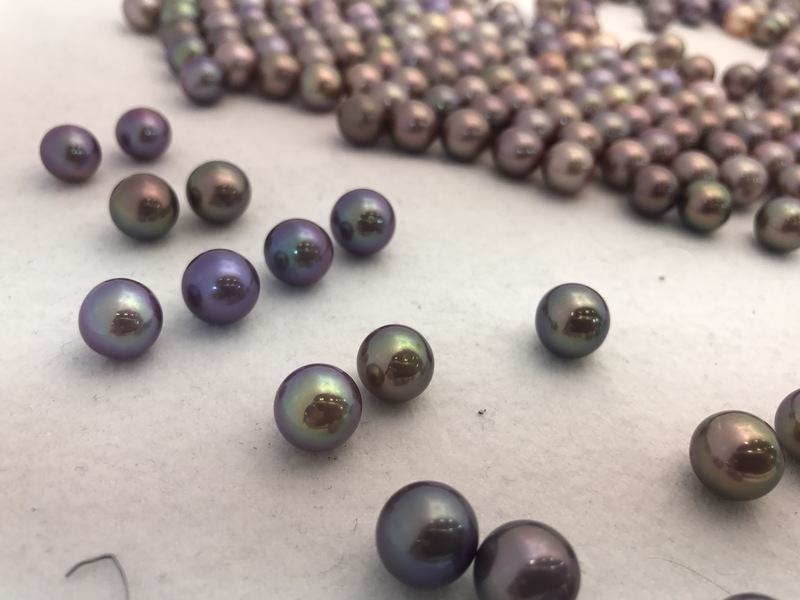 The intense purples are so rare each of the bigger freshwater sellers would only have one or two small bags of loose pearls. 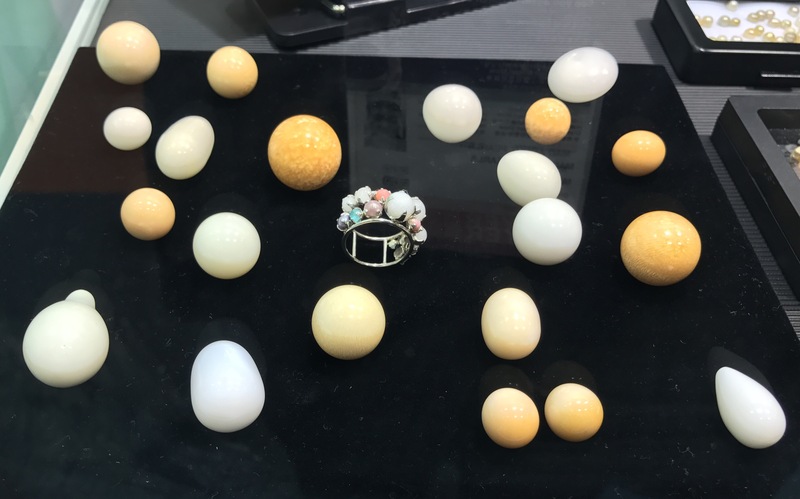 Then since I was done I went to gawk at some of the super expensive Edisons and other rare pearls. Guess which strand costs $40,000 wholesale? One more day at the Wanchai show and then I’m headed home. Hope you have enjoyed my blog so far. I’ll love to hear from you so if you can pls leave a comment to let me know what you think and what you’ll be interested for me to blog about. The gold drop is stunning. Absolutely dreamy. If I wasn’t already in hock paying off another jewel, I would be on your list. Maybe next year? I so enjoyed your shopping trip and pearly photos. Icy, love your blog. 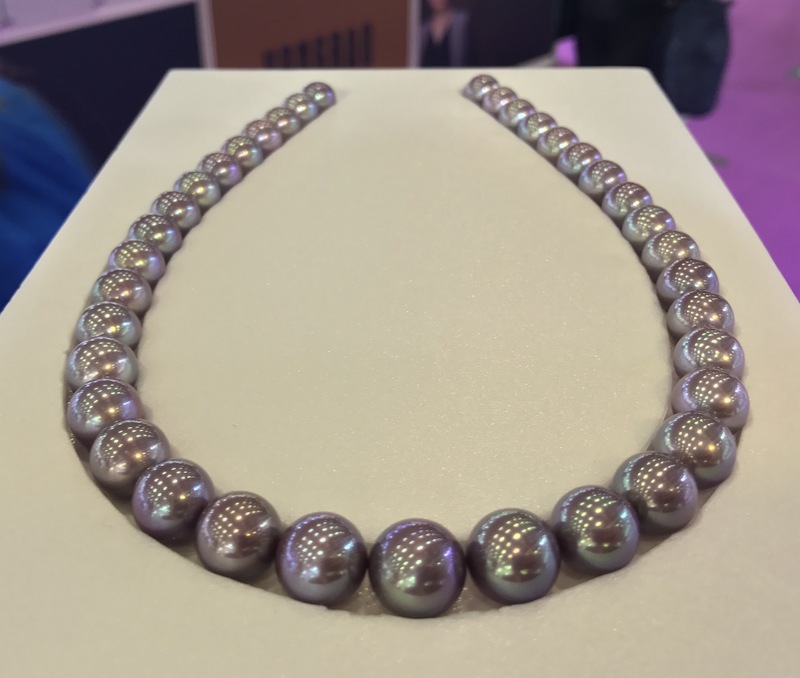 Your taste in pearls is impeccable. I would love to have you shop for me.